Boone Central speech team is planning for some top performnaces in this week’s Class B State Speech Tournament at Kearney to highlight their successful season. 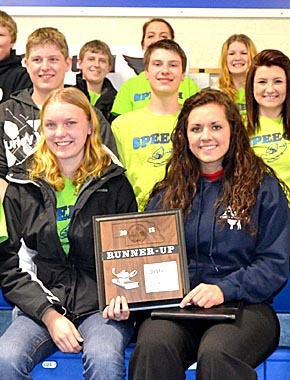 The Cardinal speakers have seven qualifiers in six events for the state meet this Thursday, March 21. Boone Central earned the runner-up trophy in last week’s district tournament at Wayne. and Emily Spieker, Toni Rasmussen, Brandon Dozler, Zack Nelson and Dana Grape in oral interpretation of drama.